Another reason to be excited this week was this gorgeous crop top that arrived in my blogger mail from She Likes clothing, I'd never heard of the site before but it's full of amazing pieces that are really affordable. I was torn between this top and a similar one in a bright purple but they also had some really cute dresses and pinafores - I was honestly spoilt for choice so go and check them out! I decided to style this monochrome top with my highwaisted and distressed shorts from OmenEye and my beloved lilac booties from Own the Runway, mainly because I love all of the cool-toned colours together! ps: omg love the title of this post, that song is so beautiful :)! Love your monochrome top! and those shoes are amazing! You have a great sense of style, I'm not usually a massive fan of lots of bright colours but you pull it off so well done! Actually kinda makes me want to wear more colour haha!!! Love the belt and glasses! Wow ellen your hair!! Its just the perfect shade of candfloss pink! Its absolutely perfect on you as well! And I love the outfits you create, they always look lovely on you! I recently moved blogs and I'd love if you came and had a look, and even followed if you liked! AWESOME hair AWESOME outfit (mygoodnes), and that's coming from she who isn't even a huge fan of dyed hair. very nice. 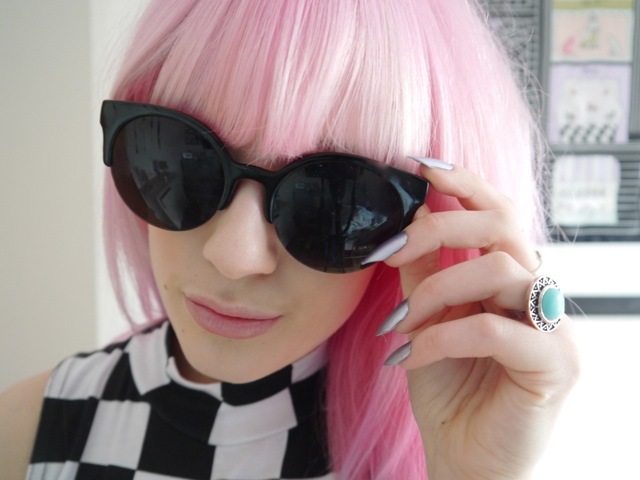 Hey, great post love your hair and your style! I Just came across your blog and I love it! love your crop top a lot too super cool! cute outfit! I love the color of your hair and the purple of your shoe! This is so pretty, I love the top and your shoes! 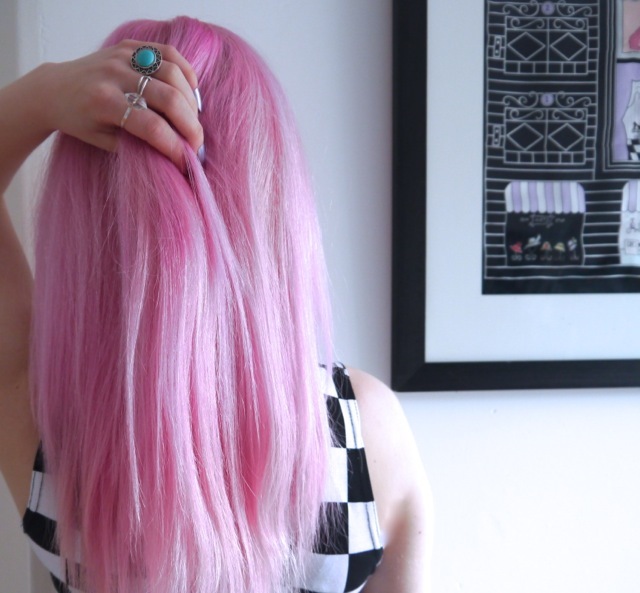 Your pink hair is amazing! !